Reach out for the Plastic Hand Fan every time you feel humid and could do with a blast of fresh air. It is available as clear top with a royal blue, red, black, or white handle. Reach out for the Plastic Hand Fan every time you feel humid and could do with a blast of fresh air. 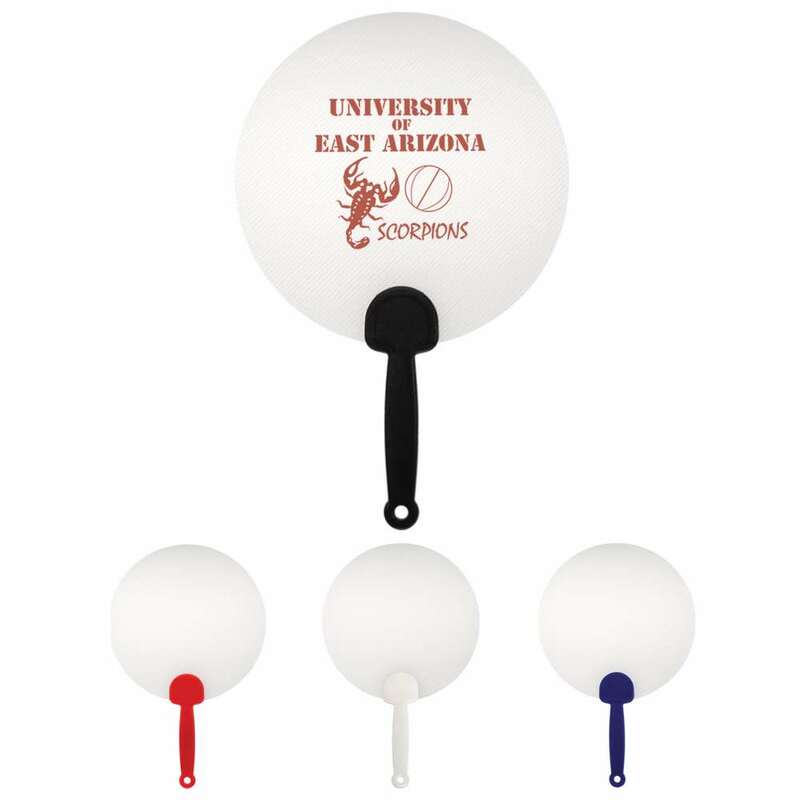 It is available as clear top with a royal blue, red, black, or white handle. There is a large imprint area for you to print your company’s logo, using standard silk screen colors. These fans are great for sporting events. Give it away at schools and colleges and promote your brand. The recipients will be pleasantly reminded of your company’s care and service whenever they use this hand fan.